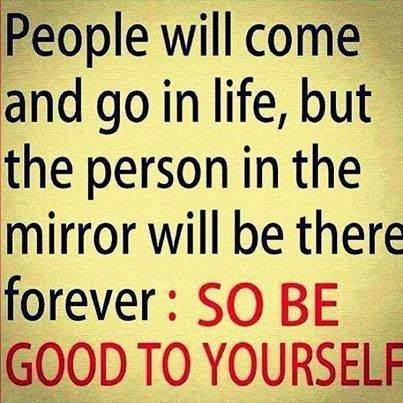 Be good to youself forever. Life is not forever but you in life are forever you. No person aside from you will be looking in the mirror and will have the same reflection in the same mirror just you the same person as yourself . No matter what you see you’ll always be there and that’s how life is, so go through life meet people. People will come to you and people will leave you but remember, in life the only one you have in life is yourself. Be good to yourself regardless of what other people do to you.. Love yourself and those people who love you. ..